911 Telecommunicators are well known for saving lives. 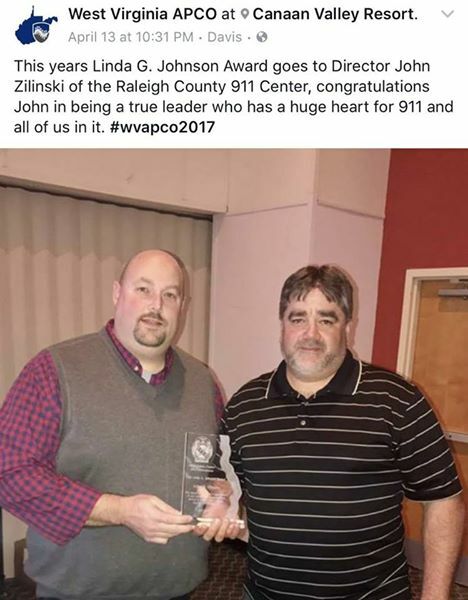 As such, the West Virginia Public Safety Telecommunicator of the Year award recognized several of our very own statewide. The 1998 award was received by Vonda Blackwell for her professionalism and instruction in the resuscitation of an infant. Vonda is an 11-year veteran as a 911 / Telecommunicator and now proudly holds a Telecommunicator Shift Supervisor (TSS) position. The 2001 award was received by Margaret "Marty" Agee for her professionalism and instruction in the resuscitation of a woman after being struck by a bolt of lightning in her own back yard. Marty is a 28-year Veteran of 911 Dispatching and is the Assistant Director / Operations Officer. 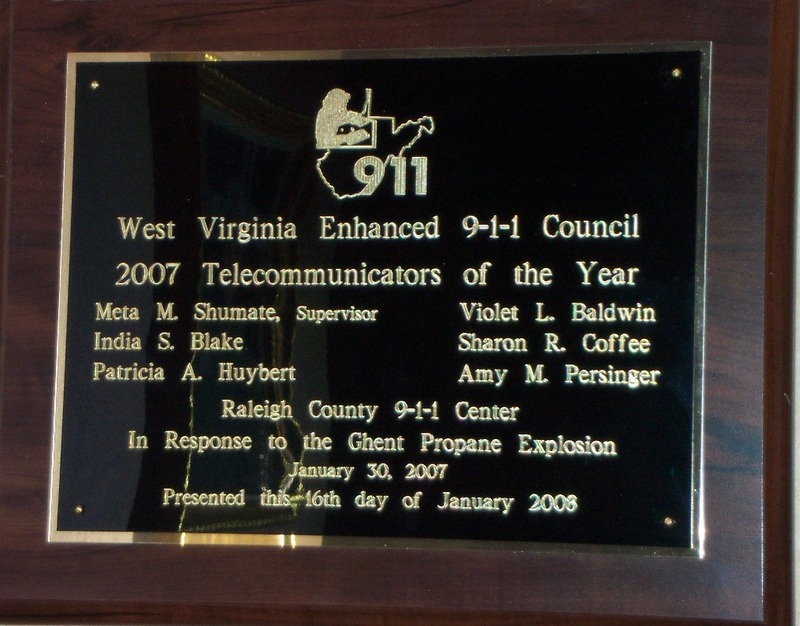 The 2007 award was received by the following dispatchers for their professionalism and instruction in the handling of the Ghent Explosion. The Raleigh County Emergency Services is proud of its involvement with the community. During the 2002 Christmas parade, several of our employees enjoyed building and showing our float. Lectures to the Girl Scouts of America about 911 and safety. Tours of 911/EOC can be arranged by calling 255-0911 or by filling out a brief request form by clicking here.